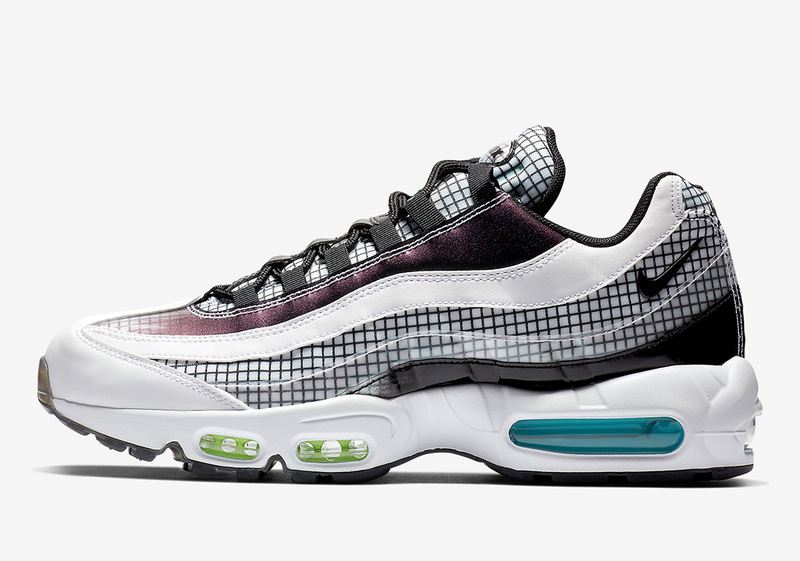 Right on the heels of another recently previewed Air Max 95 selection equipped with grid-style panelling, the Swoosh is set to unload a similarly-designed iteration with a significantly lighter color scheme. While that aforementioned offering boasted a slightly celestial aesthetic due to its purple and black tones, this version done up primarily in white with colorful shimmering accents carries a different eye-catching look. A glossy, iridescent finish is added to a number of this 95’s embellishments, while its “Grid” motif is the clear hero here, taking shape on its heel, throat, and anatomy-inspired midfoot panels. Those looking to unload a bit of that Christmas cash on a new pair of kicks will be able to do so when these Air Max 95s touch down at retailers on December 26th.